Following Superstorm Sandy, FEMA (Federal Emergency Management Agency) updated its flood-zone maps for the first time since 1983, more than doubling the included buildings to 70,000. Therefore, many more property owners are facing the decision of whether to stormproof their homes or pay up for insurance premiums that would go up as much as 18%. But going with the former choice is not as easy as one may think. FEMA guidelines don’t take into account the unique makeup of New York City with its rowhouses and high-rises, so to comply with the current regulations it would cost the city more than $5 billion, according to studies produces by Crain’s. Those who would be absorbing the costs include middle-class homeowners; NYCHA, which owns more than 25% of rental units in the flood zone ;and owners of large apartment towers, which account for 61% of the 5.5 million properties in FEMA’s National Flood Insurance Program. All of these entities must follow the same guidelines as the plan is laid out now, but the city and a group of nonprofits are asking the agency to make changes to the insurance program. In addition to expanded flood zone maps, produced by the city as well as FEMA, Congress substantially raised insurance premiums to decrease the National Flood Insurance Program’s $24 billion debt. But lawmakers have delayed these steep increases, which many are using as the perfect time to advocate for changes to the national guidelines. Though they have been unsuccessful thus far, the Department of City Planning released a report, Retrofitting Buildings for Flood Risk, earlier this month that shows case studies for various retrofits under the current regulations. 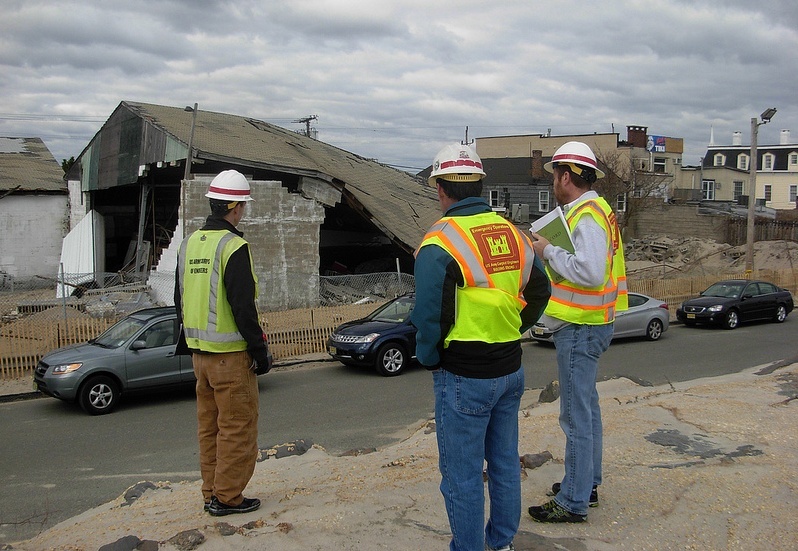 The biggest solution under FEMA is to raise the building’s lowest floor and mechanical systems. This means that about 87,000 ground-floor apartments would have to be eliminated. Not only are the required changes expensive (more than half of Sandy’s victims were low-income renters, many of them in rent-regulated units below flood elevations now considered unsafe, according to Crain’s), but they would dramatically alter the look, scale, and feel of many New York neighborhoods. And for certain building types, such as historic rowhouses and attached homes, raising the building is not option, so the lower floors would have to be completely vacated as living spaces. For those homes that can be raised, the process would run owners between $80,000 and $100,000, more than many of these homeowners earn in a year. 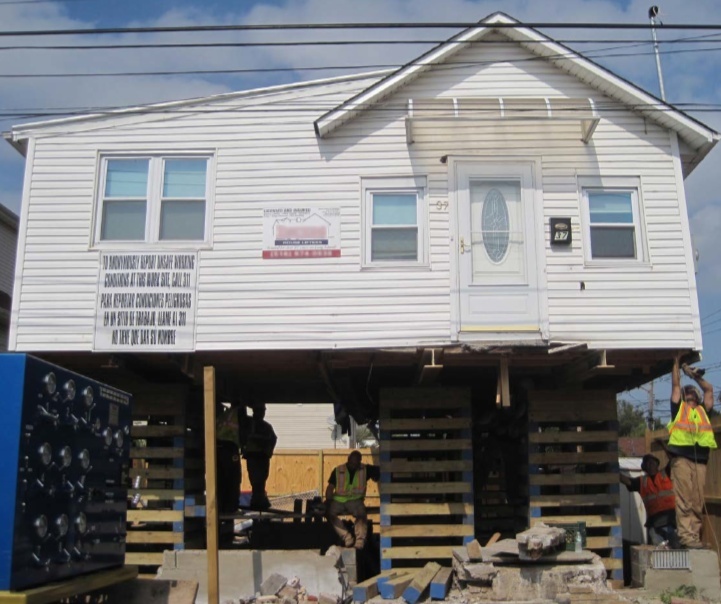 In the coming months, the Mayor’s office will be releasing the results of two studies that show how changes to the National Flood Insurance Program would impact costal neighborhoods’ affordability. Based on an order from Congress, FEMA has hired a consultant to look at partial mitigation, but it’s uncertain if any changes would come before the flood-insurance program renewal in 2017.